Clark Freeport Zone, Pampanga- DOLE Bataan Provincial Head Leilani M. Reynoso (2nd from right) receives the Department of Health (DOH) Red Orchid Award 2018 during the 7th Central Luzon Excellence for Health (CLExAH) of the DOH. 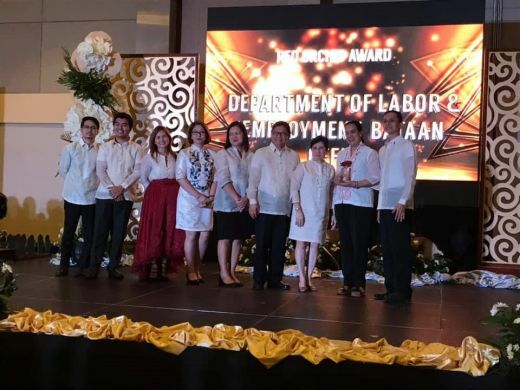 Clark Freeport Zone, Pampanga – The Department of Labor and Employment (DOLE) Bataan Provincial Field Office was confirmed as the Department of Health (DOH) Red Orchid Awardee for 2018. The Red Orchid Awards is a DOH incentive program which calls for the absolute smoking ban among government offices, and encourages local government units to do the same in their health facilities and other public places. It is given to any government office with exemplary work and strength of comprehensive efforts on anti-smoking campaign. DOLE Bataan Field Office garnered a soaring percentage score of 104.76%, hence, bagging the Red Orchid Award. The Red Orchid Award (ROA) with a percentage of 100 is the award given to any office/agency with highest citation in the anti-smoking campaign, followed by the Pink Orchid with 81-90% and the White Orchid with 71-80%, respectively. Participants were judged based on the acronym devised by the DOH as MPOWER which denotes the six proven tobacco control policies, namely: Monitor tobacco control policies; Protect people from tobacco smoke; Offer help to quit tobacco use; Warn against the dangers of tobacco; Enforce bans on tobacco advertising; and Raise taxes on tobacco. Representatives of the DOH conducted a validation and winners were judged based on the strength of the comprehensive efforts to implement the 100% smoke-free environment in the workplace. 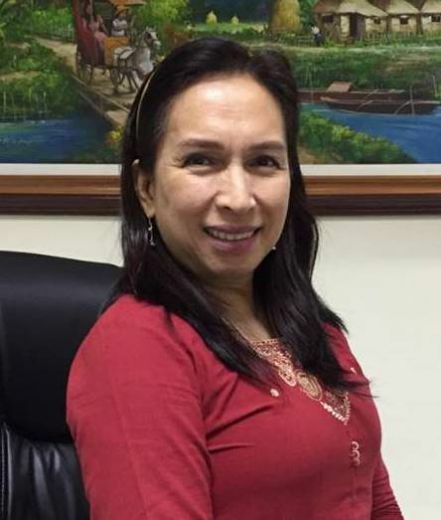 DOLE Bataan Provincial Head Leilani Reynoso was amused of the recognition as their collective effort at the field office for the implementation of the DOH program was recognized promptly. “A lot of studies have shown that smoking is one of the preventable causes of death, and the number of smokers and tobacco consumption is continuously increasing, thus the Department is genuinely committed in supporting the program of the DOH in its goal of having an environment free of smoke.” Reynoso said. DOH revealed that from the inception of the ROA in 2009 to 2017, it has declared 68 Hall of Fame Awards (14 cities and 54 municipalities) and 89 ROA awardees.